When teaching spelling, there are three main aspects that we need to plan for in teaching and learning. These can also be subdivided into smaller strands. When a person struggles with spelling, then this can be a barrier to the fulfilment of the Four Capacities. 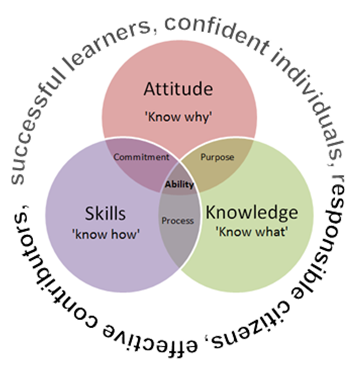 The way we deliver and organise learning experiences very much depends on the learning situation but should involve these three aspects of learning and teaching: Attitude, Skills and Knowledge.